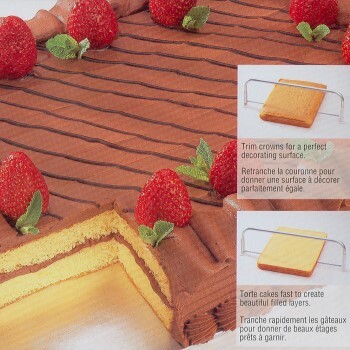 Slice any cake - round, square or sheetcake into perfect even layers with this unique Ultimate Cake Leveler & Slicer. 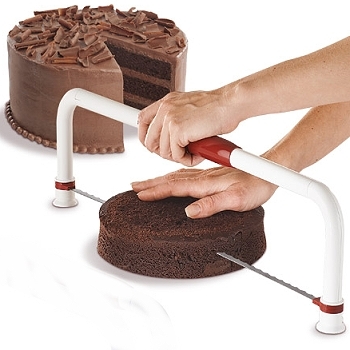 This Cake Leveler does it all—safe precise cutting, easy height adjustment and convenient storage! 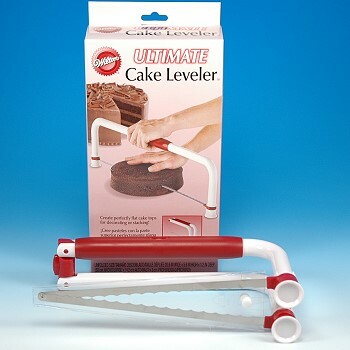 Cake Leveler & Slicer has a commercial-grade "serrated" slicing blade. 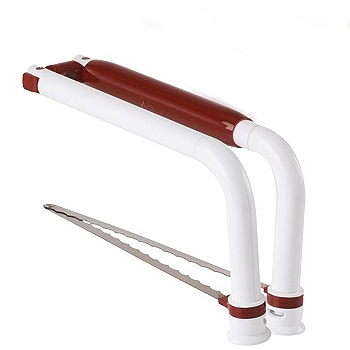 Frame can be folded in half for easy storage. 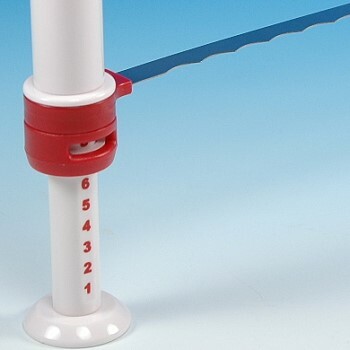 Blade height can be quickly adjusted to the desired height by simply twisting the feet to unlock, then sliding the feet to the selected notches - 1/4" increments. 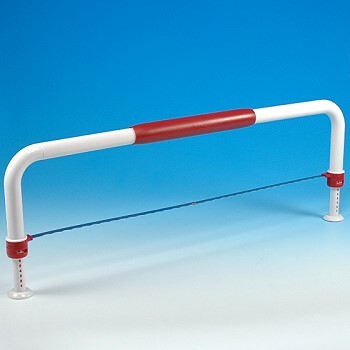 Maximum blade height 2 5/8"
Sturdy plastic frame and feet.